Here at Liquor & Liquor we are fortunate to be able to offer a wide variety of whisky from around the world! We work closely with our distributors and the distillers themselves to provide a unique and broad selection of Scotch, US and other worldly whiskeys! Whisky, or Whiskey, is a type of distilled alcoholic beverage made from fermented grain mash. Different grains are used for different varieties, including barley, malted barley, rye, malted rye, wheat, buckwheat and corn. 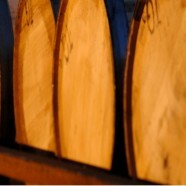 Whisky is typically aged in American charred white oak, however may be aged, or “further rested” in additional casks such as sherry, port, madeira, French limousine and previously used casks.